Which to choose 1x or 2x ? We get a lot of questions from folks wondering if they should be going with a 1x or 2x build. It really depends on the type of riding your child is doing or will be doing. A good rule of thumb is if you are riding trails that have long sustained climbs of over a mile a 2×10 build with the granny gear is really nice! Your child will have an easier time on the climbs and you might find they are right on your tail! 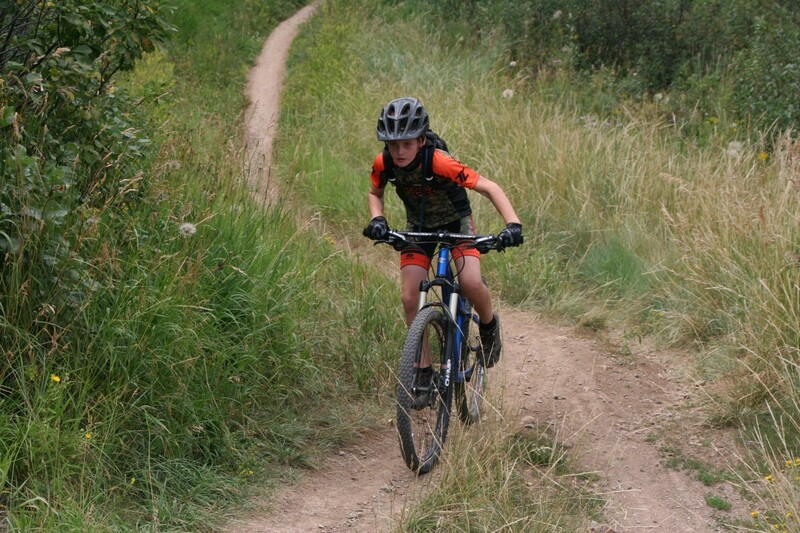 As a good experiment we did some riding here this summer in Colorado set up on both and when we switch from the 1x to the 2x our son said, “Wow, this is a lot more fun!” He could really crank it up the hills with ease. If your riding terrain is more flat then choose the 1x option and enjoy a little weight savings of about 3/4 of a pound. Trailcraft fully geared 2×10 is roughly only 22.3 pounds and the 1×10 build is roughly 21.5!